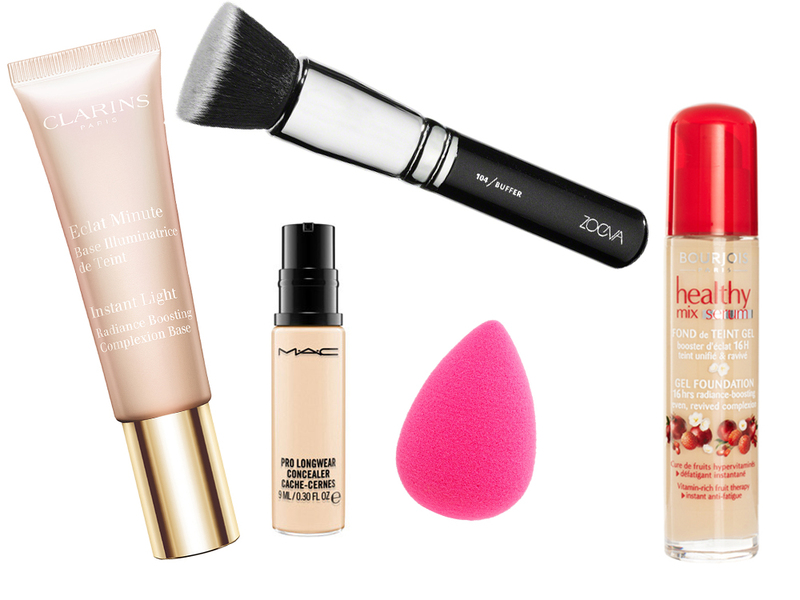 Applying foundation isn’t a one size fits all kind of thing. Everyone has their own technique; everyone has their favourite product to use.Personally, I like to use a sheer formula, something that allows some of my skin underneath to be seen. Here I’m using the Bourjois Healthy Mix Foundation but I also love Smashbox Camera Ready BB Water SPF30 and L’Oréal Paris True Match. I don’t like a mask and, in general, think a lot of make-up, worn like a mask, can actually be ageing. But, as with everything, it’s each to their own. My routine is pretty simple and it doesn’t take me longer than five minute to apply my base. A perfected canvas is really important. If I have a some dry skin – which my skin has a tendency to – then I’ll buff everything away with my Clarisonic. Foundation – no matter how light – will naturally gravitate to dry, flaky patches of skin and exaggerate them even more. Exfoliation done, I like to use a really hydrating moisturiser and, if my skin is feeling particularly parched, I’ll work a little facial oil into my skin too. I prefer a dewy finish over matte any day of the week. Before I apply my foundation I like to prep my skin with a finely blended layer of an illuminating primer first. Here I’m using Clarins Instant Light Radiance Boosting Complexion Base. Other great options that I always keep in my make-up drawer are MAC Strobe Cream, Tom Ford Illuminating Primer and Chanel Le Blanc de Chanel. I tend to apply my foundation with either a densely packed foundation brush like the Zoeva 104 Buffer Brush or a damp Beauty Blender. The brush is great if you have only seconds to get your foundation in place, but if you have a little time spare the Beauty Blender is just brilliant. It really makes your skin look flawless and natural. Just remember to ensure your sponge is damp; it will give a dewier, more radiant finish, and it will prevent the sponge from soaking up your foundation. Foundation done, I like to go in with a little concealer under my eyes and over any spots that are bothering my face. I like to use a concealer just a shade lighter under my eyes to make them look brighter. MAC Pro Longwear Concealer is hardy stuff and once it’s on it’s not going anywhere. This is where, if you have oily skin, you might like to apply a sheer loose powder through your T-Zone to knock-back any shine. My skin dries out like an old newspaper and powder only speeds up the process (for me at least) so I skip this step – though, if I’m honest, I’m not adverse to a little shine.